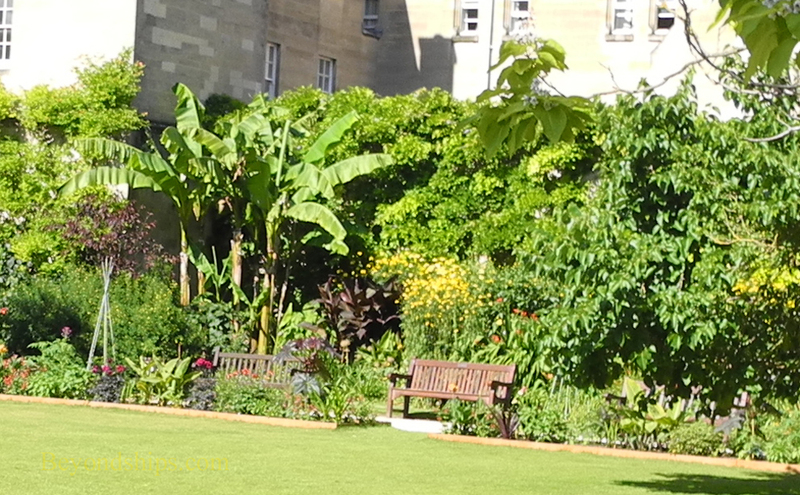 Balliol College is one of the oldest colleges in Oxford. Indeed, by some measures, it has a claim to be the oldest. The college was not founded voluntarily. In the 13th century, a dispute arose between John de Balliol and the Bishop of Durham, which erupted into violence. King Henry III sided with the Bishop. As penance the Bishop ordered Balliol to be whipped and to do a substantial act of charity. 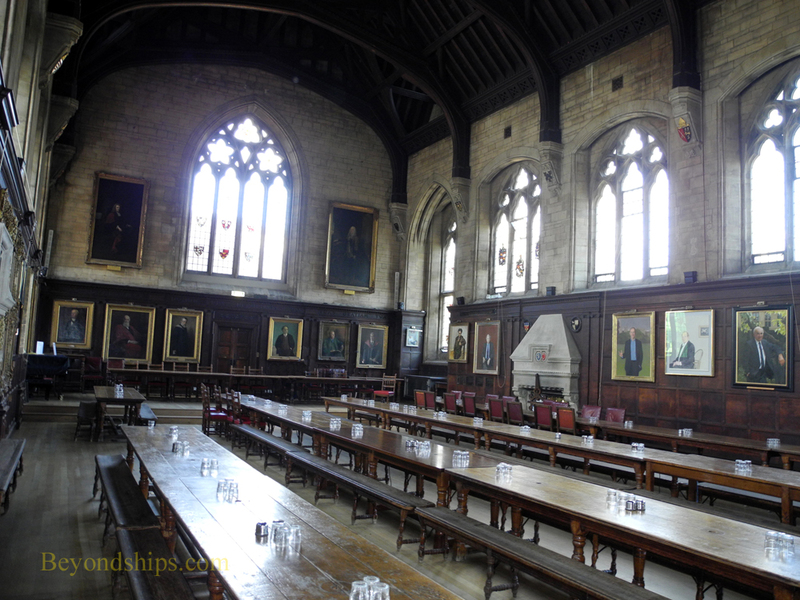 Balliol fulfilled the latter part of his sentence by founding a house for 16 poor scholars in Oxford in 1263. After Ballil's death, his widow, a Scottish princess, Dervorgvilla of Galloway, made the endowment permanent. Since then, numerous famous people have been educated at Balliol. This included: the British prime ministers Herbert Asquith, Harold MacMillan and Edward Heath as well as the writers Graham Greene, Neville Shute, Aldous Huxley and poet Robert Browning. Economist Adam Smith studied here. More recently, Boris Johnson, Mayor of London, is a graduate. 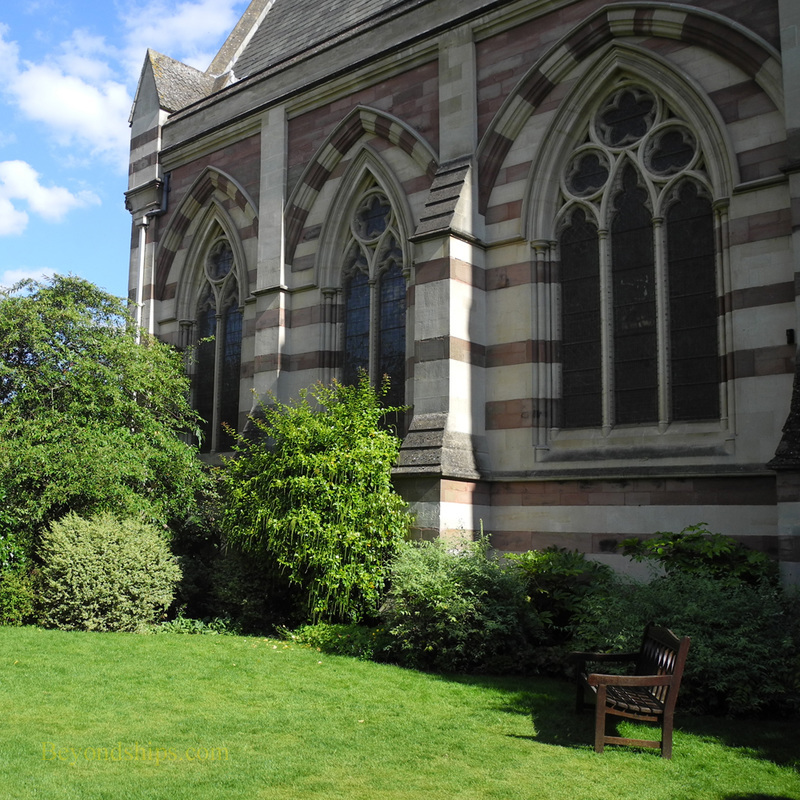 Today, there are about 370 undergraduates and the same number of graduate students at Balliol. Some 70 fellows led by the Master oversee the academic program. The objective is to foster both academic excellence and a sense of social responsibility. Although there are buildings elsewhere in Oxford, the center of the college is off Broad Street. 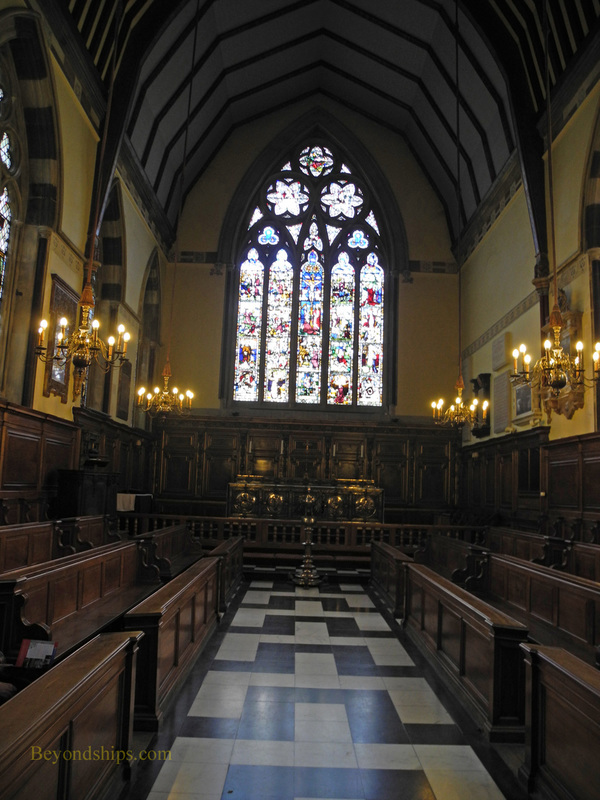 In contrast to Christ Church College, this complex has a more intimate and cloistered atmosphere. The buildings are closer together and there are no vast expanses of open space. It is quiet and shady on a sunny summer's day. 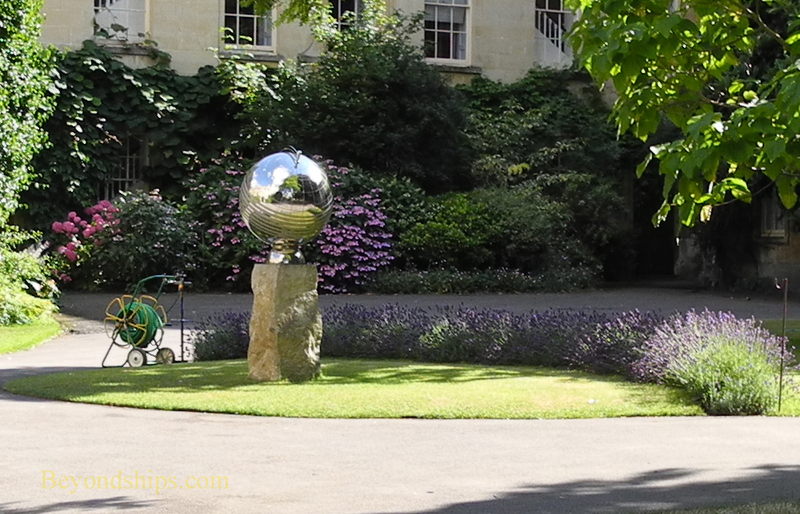 Above: ​The Anniversary Sundial commemorates the 30th anniversary of women at Balliol. In 1979, the formerly all-male college admitted female students. In addition to telling time during daylight hours, this device acts as a moondial on nights when the Moon is full. On other nights, there is insufficient light. Above: The Chapel was designed by William Butterfield and was completed in 1857. It is the third chapel to stand on this site and incorporates elements of its predecessors including 16th and 17th century stained glass windows. Iits treasures include a Jacobean pulpit, a lectern from 1635 and a silver gilt alter (1927). Below: The Hall where students and fellows dine on formal occasions.